1. Can you tell us a little about your book? Is it your debut novel? I’ve been writing for a few years now, so my latest book, FIREDRAGON RISING is actually my seventh release! It’s the second novella in the Firedragon series, which are prequels to my YA fantasy, FLYNN NIGHTSIDER AND THE EDGE OF EVIL, which is currently under contract with Glass House Press. FIREDRAGON RISING takes place in a dark future in which monsters have overrun the earth and those with magic hold all the power in the former United States. 15-year-old Aurelia “the Firedragon” Sun has no magic, but is very skilled at fighting monsters and helping protect the people. However, even being a champion won’t save her from the government, called the Triumvirate, if they learn that she secretly sympathizes with the rebels, who seek equality for the non-magical. So she must escape the government watchdogs and trek through miles of monster-filled wilderness in order to find the rebellion… before her true colors are discovered. 2. Are you a plotter or a free writer? I’m a neurotic plotter. I need to know exactly where the story’s going and what twists and turns are along the way. That way, I can set up circumstances and drop hints along the way. Otherwise, I’d just get lost! 3. Is your book part of a series or a standalone? 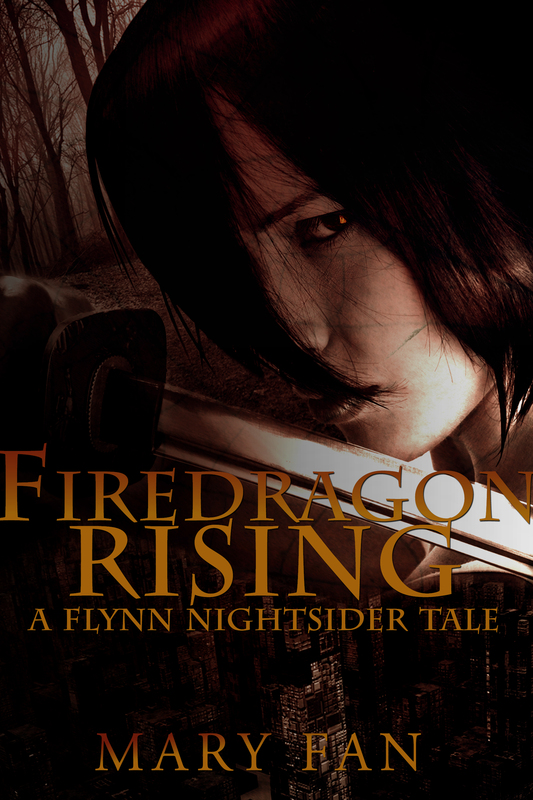 FIREDRAGON RISING is part of the Flynn Nightsider universe. Aurelia (aka The Firedragon) is a major character in the main book series, and along with the first Firedragon novella (titled THE FIREDRAGON), FIREDRAGON RISING sets up her backstory and shows the reader how she went from being the Triumvirate’s champion monster fighter to a revolutionary. 4. Do you require silence when writing or do you listen to music? Silence. Music is too distracting. I always end up listening to the song instead of writing! If I’m in a public place (a coffee shop or something), I’ll try to tune it out. 5. Are you writing your next book? Can you share a little about it? I’ve got a couple of future projects planned, including a third Firedragon novella to round out the prequel series for the Flynn Nightsider books. The first Flynn book, FLYNN NIGHTSIDER AND THE EDGE OF EVIL, is currently in edits with Glass House Press. It tells the story of 16-year-old Flynn, a non-magical orphan living under the Triumvirate’s tyrannical rule. Tired of being treated like dirt, he starts fighting back – first in his own little way (seeking the truth about his mother’s mysterious death). Then, he gets pulled into the underground rebellion (which is where he encounters Aurelia). But the rebellion isn’t all that it seems, and he soon learns that there’s more at stake than he imagined… and that the fate of the world may rest on his not-so-special shoulders. 6. How long were you writing before getting a publishing contract? I started writing when I was about 12, and I wrote several terrible awful books as a teenager that will never see the light of day. But along the way I learned a thing or two about things like story structure and characterization. I stopped writing for several years while I was in college and working at my first job. After I picked it up again, it was about a year between when I started writing my debut (Artificial Absolutes) and when I got a contract for it from Red Adept Publishing (in 2013). 7. When does your book release? 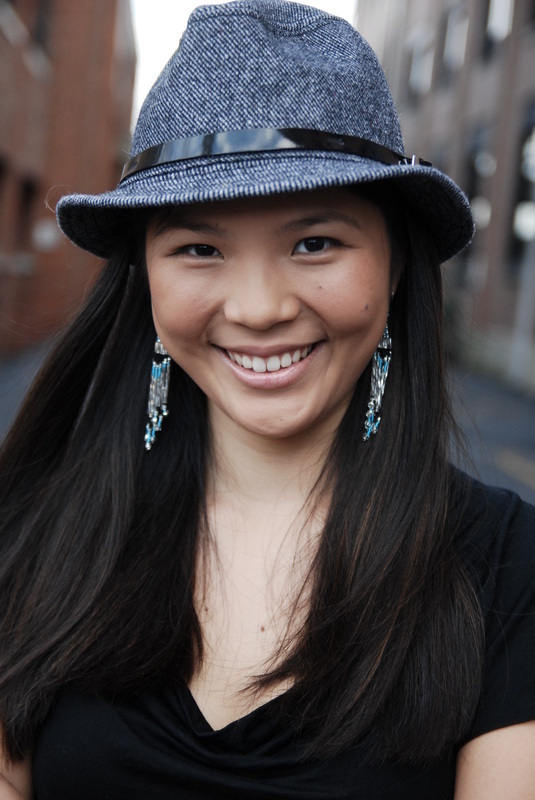 Mary Fan lives in New Jersey, where she is currently working in financial marketing. She has also resided in North Carolina, Hong Kong, and Beijing, China. She has been an avid reader for as long as she can remember and especially enjoys the infinite possibilities and out-of-this-world experiences of science fiction and fantasy. Mary has a B.A. in Music, specializing in composition, from Princeton University and enjoys writing songs as much as writing stories. She also enjoys kickboxing, opera singing, and exploring new things–she’ll try almost anything once. Enter your email address here to follow this blog and receive notifications of new posts by all the babes via email.